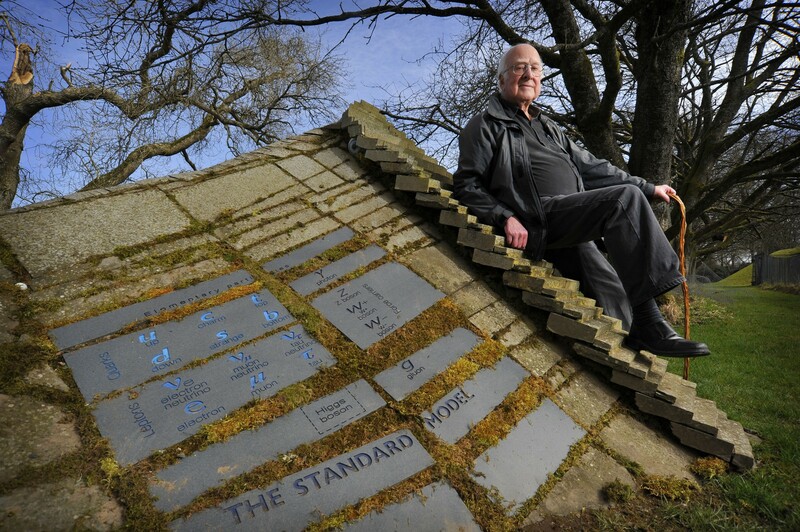 Charles Jenks, internationally renowned landscape architect and designer, built his private 'Garden of Cosmic Speculation' at Portrack House, Dumfrieshire. 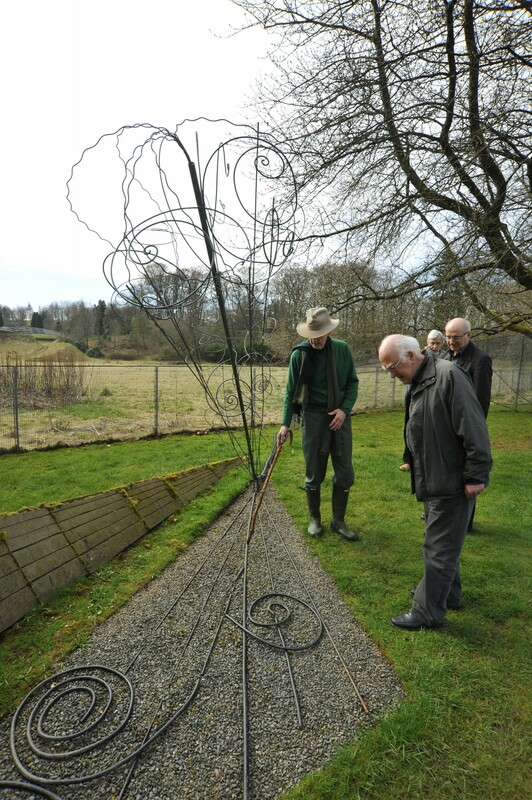 Peter Higgs and the Director-General of CERN, Rolf Heuer were invited to visit the garden on 11th April 2010. Present also where James Gillies, CERN Head of Communication and Alan Walker, Honorary Fellow of the School of Physics and Astronomy, University of Edinburgh The photographs shown were taken for the University of Edinburgh by the Maverick Photo Agency who retain rights over these images. Not to be used elsewhere without express permission. Peter Higgs and the baryon octet. 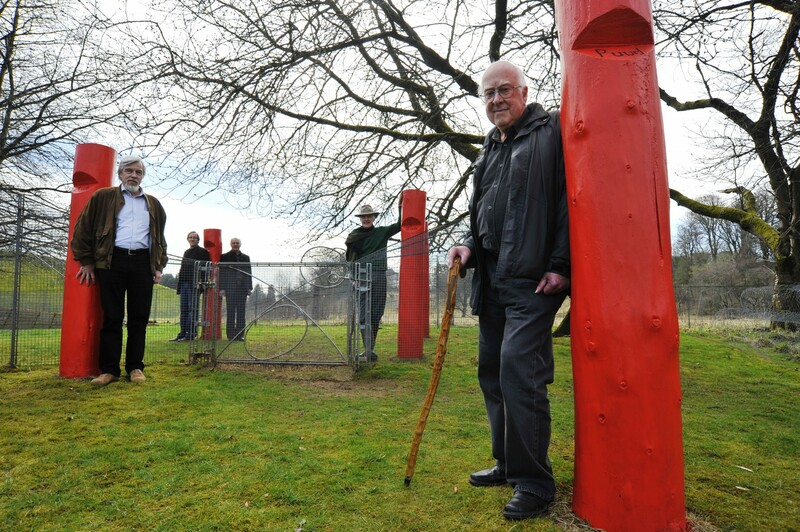 From fornt to back: Peter Higgs, Rolf Heuer, Charles Jencks and James Gilles on the left & Alan Walker on the right. They are standing in a representation of the lowest lying baryon octet. Peter Higgs and cloud chamber tracks. Peter Higgs and the Standard Model. Peter Higgs resting against the Standard Model landscape sculpture that includes the Higgs Boson. Rolf Heuer, Peter Higgs and Charles Jencks. 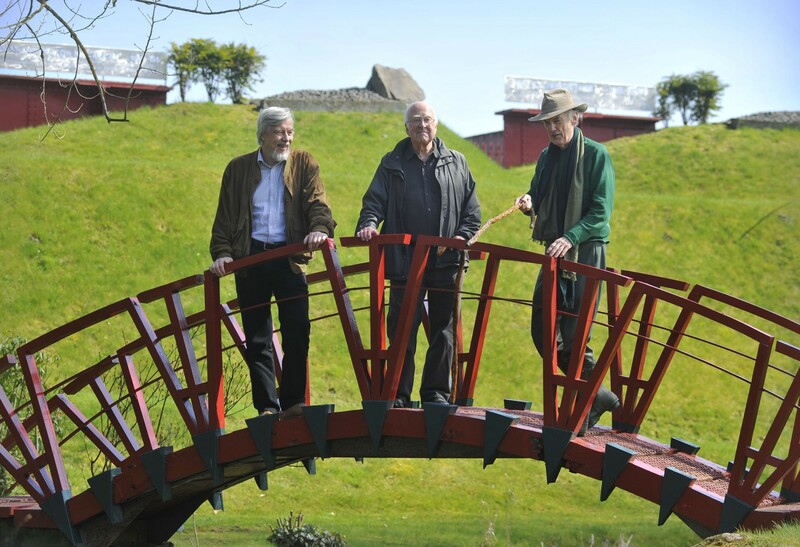 Left to right: Rolf Heuer, Peter Higgs and Charles Jencks standing on a bridge over one of the garden's water channels. 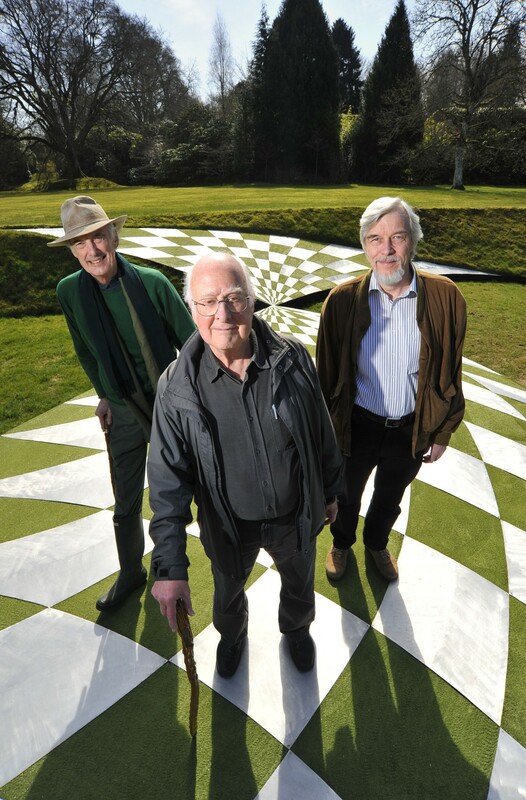 Charles Jencks, Peter Higgs and Rolf Heuer at the 'black hole'. Peter Higgs with the 'double helix' in the background. 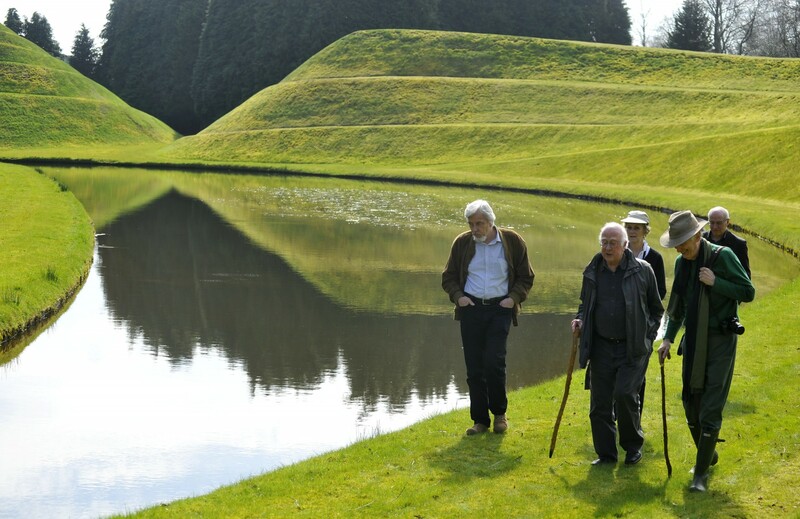 Left to right: Rolf Heuer, Peter Higgs and Charles Jencks walk alongside one of the garden's artificial lakes. Behind are James Gillies and Alan Walker. In the background on the left is the 'double helix' mound. This article was last updated on Dec 14, 2011 .